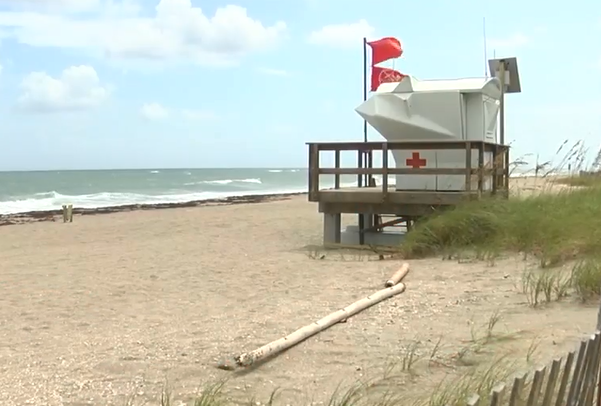 Local scientists are not surprised red tide made its way to the East Coast. What does surprise them is the lack of warning ahead of time. It was quite the shock along our beaches the past few days. "You can smell it and taste it almost," said Richard Amato. 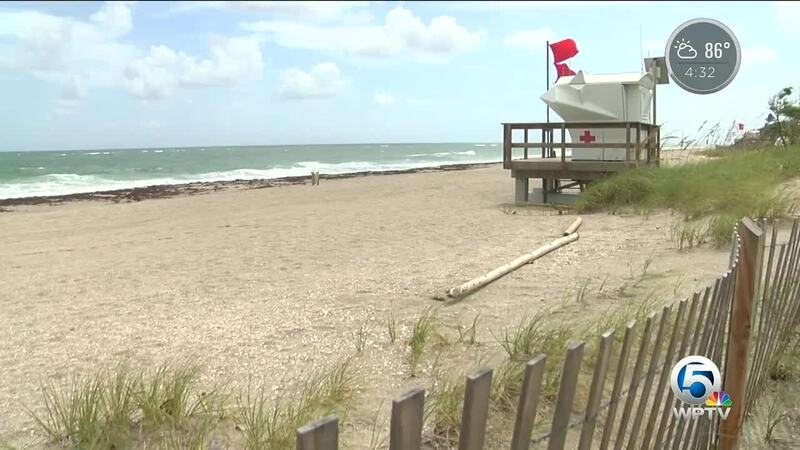 "Always hear about red tide on the west coast, but now it's here." Down at Florida Atlantic University, Dr. Bill Louda, a research professor in the department of chemistry and biochemistry, is not surprised it's here. What surprises Louda is that we did not know it was coming here before this past Saturday. "Why didn't we have warning. It's heading down the west side, it's coming around Key West, it's coming north. To wake up one morning and say it's here, that's a little surprising that we didn't know at least a few days ahead of time," said Louda. He says this should raise awareness of lack of water monitoring and sampling in our state. "They've been cut," said Louda. He's referencing state budget cuts to certain environmental agencies. A DEP spokesperson sent us this statement when we asked if the agency could use more resources and funding. "Florida continues to have more monitoring stations than any other state in the nation, nearly double any other state. The Department, water management districts and local governments and volunteer groups, have a robust monitoring network in place to adequately report on water quality conditions throughout the state. This is both through routine monitoring stations and site-specific monitoring performed for a variety of purposes. One purpose is to understand the big-picture, statewide statistical estimate of overall water quality conditions. Another is to identify waterbodies that require restoration. Then lastly, there is targeted monitoring to address specific waters and water quality concerns. The Department’s effort has remained relatively constant for the past 10 years. As you see in the table below, the number of monitoring stations has ranged from 1320-1676, an average of nearly 1500 monitoring stations annually."